Homepage / Food / Is Sour Curd Good for Health? Is Sour Curd Good for Health – You love yogurt, but do you have a crooked nose for curd? Be aware that this food, besides being a delight and not contain preservatives, works well for the skin, for the functioning of the intestine and even helps reduce bad cholesterol. According to nutritionist Andrezza Botelho da Silva, curd is the solid part resulting from milk coagulation. The liquid part, in turn, is called whey. “The preparation of fermented milk is a natural way of preserving milk, since acidification acts as a natural preservative against the development of many bacteria harmful to humans,” said the nutritionist. Andrezza Botelho explains that curd is a food of very high nutritional value, but highlights the high biological value of proteins in fermented milk. “These proteins provide the increased bioavailability of B-complex vitamins in the human intestine, which results in better absorption of calcium by the body,” he explains. Regular consumption of curd, thanks to the lactobacilli (microorganisms of the good) present in the food, also recovers and balances the intestinal flora, improving its functions and helping in cases of constipation or diarrhea. 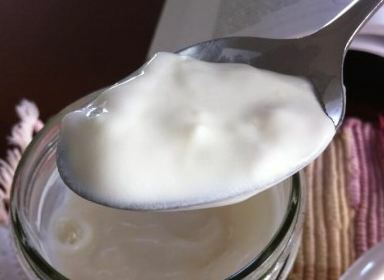 “Because of this characteristic, curd helps modulate diarrhea caused by antibiotics, chemotherapies, radiotherapies and stressful situations, and it is highly prescribed in hospitals and medical treatments,” adds Andrezza Botelho. The presence of large amounts of fatty acids (fats), from milk, makes the curd a food able to help reduce bad cholesterol and, consequently, decreases the risk of heart attack. Curdled milk is also a calcium-rich food, with about 490mg per 100g and phosphorus. Therefore, it is usually indicated in diets for people with deficiency of these nutrients and also for children in the growth phase. Although derived from milk, curd helps in cases of lactose intolerance, since in the fermentation process, bacteria transform lactose into lactic acid, which is easily digestible even by the most sensitive stomachs. “Curdled milk preserves the fat, minerals and vitamin content of pure milk, but it has far less lactose than milk. When made from skimmed milk, for example, the curds are six times more digestible than ordinary milk in natura, “says the expert. Previous post What is The Effect of Alcohol on the Body?